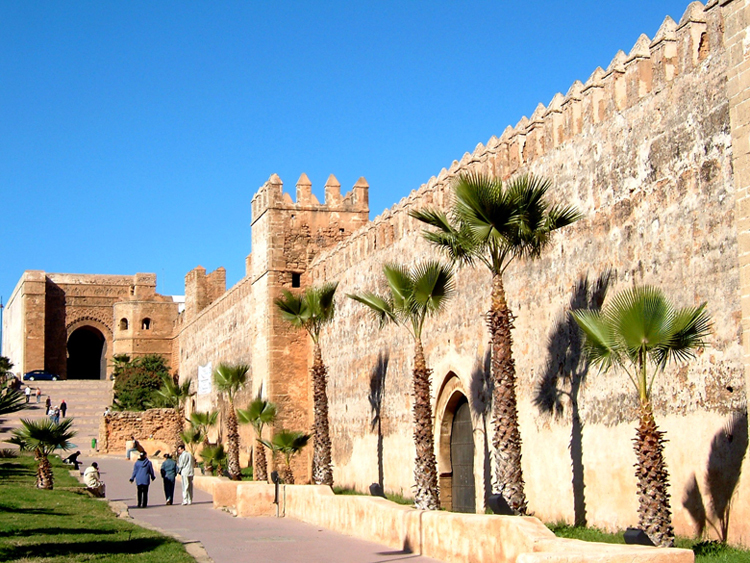 Rabat is the capital and the fourth imperial city of the kingdom of Morocco. It is also the capital of the Rabat-Salé-Zemmour-Zaer region and the city carries the perfect blend of the traditional and modern culture. The city reflects traditional as well as modern facets of Morocco. Situated on the Atlantic Ocean near the river Bou Regreg, the city came into existence in the third century BC when Chellahon settled near the banks of Oued Bou Regreg. The city has an interesting past, as in 40AD it was taken over by Romans and was named Sala Colonia. They settled in the city and stayed for as long as 250AD, which was later taken over by Berber rulers. Later in 1146, Almohad ruler Abd Al-Mu’min made Rabat into a fortress which was used as a starting point for attacking Spain. 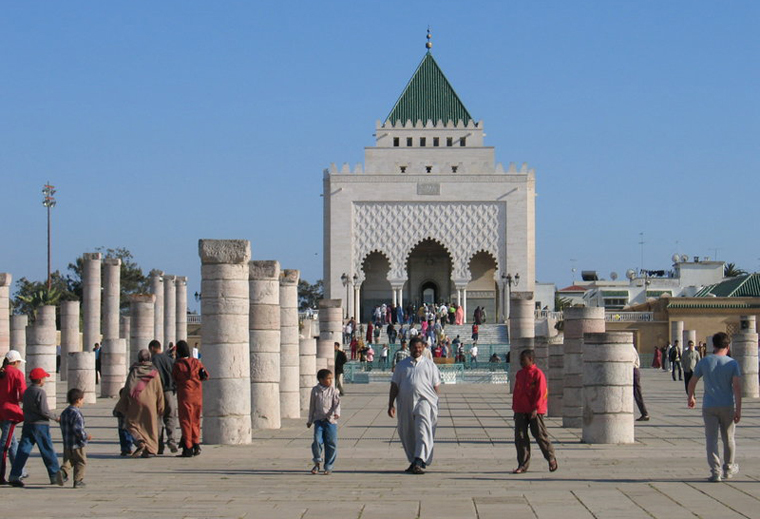 Mausoleum of Mohammed V: The tombs of the Moroccan king and his two sons, late King Hassan II and Prince Addallah are situated at Mausoleum of Mohammed V which is a very famous attraction during Rabat Morocco travel. It is located opposite to the Hassan Tower and is a marvelous masterpiece of brilliant architecture, which reflects the modern Alaouite dynasty structural designing style. Besides this, the white silhouette adorned with typical green tiled roof makes it look remarkable. Hassan Tower: Hassan Tower is also known as Tour Hassan and it is an incomplete mosque in Rabat, Morocco. Sultan Yacoub Al-Mansour laid the foundation of this tower in 1195 AD but it was later stopped in 1199 after the Sultan’s misfortunate death. This tower was imagined to be the largest minaret of the area with an estimated height of 86m (260 ft). 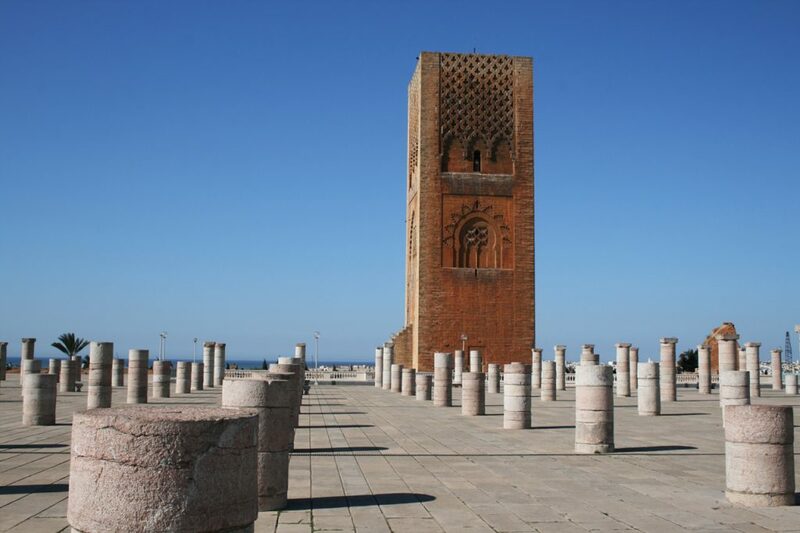 It is made of red sandstone and measures 44m (140ft) tall and is often visited by visitors during Rabat Morocco travel. Chellah Necropolis: Chellah is a necropolis located at the outskirts of Rabat. It features ancient and medieval ruins. It is the most ancient human settlement which was situated on the banks of river Bou Regreg. The ruins of many Roman towns like the Decumanus Maximus provide a magnificent view of architectural elements. Many structures in Chellah unfortunately got destroyed in the 18th century massive earthquake so it has been converted into a garden and visitor venue. It is one of the most visited destinations by visitors on a Rabat Morocco travel. Kasbah of the Udayas: It was constructed during the sovereignty of the Almohads. It was reconstructed in AH 544/ AD 1150 and also added a beautiful palace and mosque which was named Al-Mahdiyya after Yaqub Al- Mansur.